This tutorial will discuss how to download SRTM Elevation data directly in QGIS using SRTM Downloader plugin. SRTM elevation data is an effort to provide Digital Elevation Model (DEM) at global scope with highest resolution 30 m. Usually the SRTM data can be downloaded from USGS Earth Explorer or NASA Earth Data Server. For this tutorial I'm using QGIS 3.0 master candidate (or QGIS 2.99 exactly) which can be downloaded from QGIS weekly download. SRTM Downloader Plugin was developed by Dr. Horst Duester from Sourcepole AG. The SRTM data will be dowloaded from NASA Earth Data server. Therefore you must have an account to download the SRTM elevation data with this plugin. You can create an account at https://urs.earthdata.nasa.gov/. To install the plugin is quite straight forward. In the toolbar menu Select Plugins >> Manage and Select Plugins.... The plugin window will open as in figure 1. Type SRTM Downloader, check it and Install. Done! 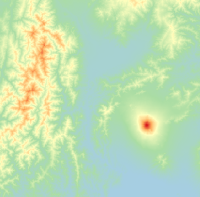 To download SRTM elevation data, firstly we have to define a location extent. 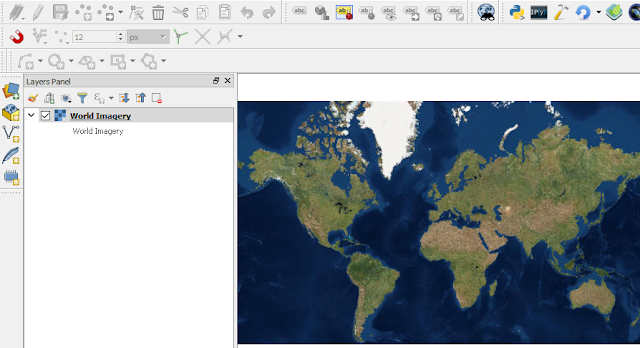 You can do it manually or simply just add a data into QGIS map canvas. For example, in this case I added a world satellite imagery image from ESRI web map server. 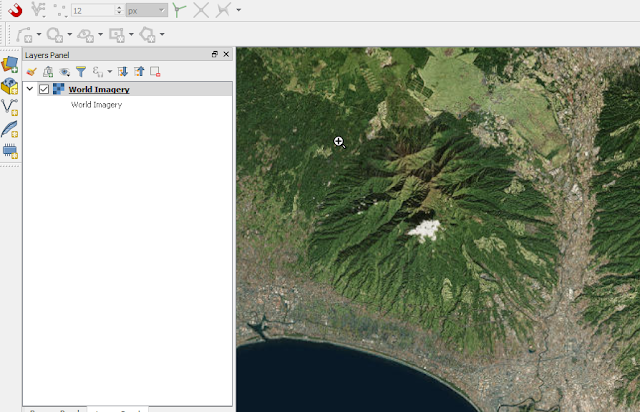 See this tutorial how to add satellite imagery in QGIS. You will have world satellite imagery as in figure 2. Next you just go to any place you want. For example I wanted to download SRTM elevation data around Fuji Mountain in Japan. So I am gonna search the location of the mountain in Japan. I found it as in figure 3. Now, we are ready to download the SRTM elevation data around Mt. Fuji with the following steps. 1. Open SRTM-Downloader plugin in the plugins menu. See figure 4. 2. The SRTM-Downloader plugin window will open as in Figure 5. Then click Set canvas extent to get the location extent. In the Output-Path, specify the location where the SRTM elevation data will be stored in your machine. 3. If you want to add the SRTM downloaded data when finished. 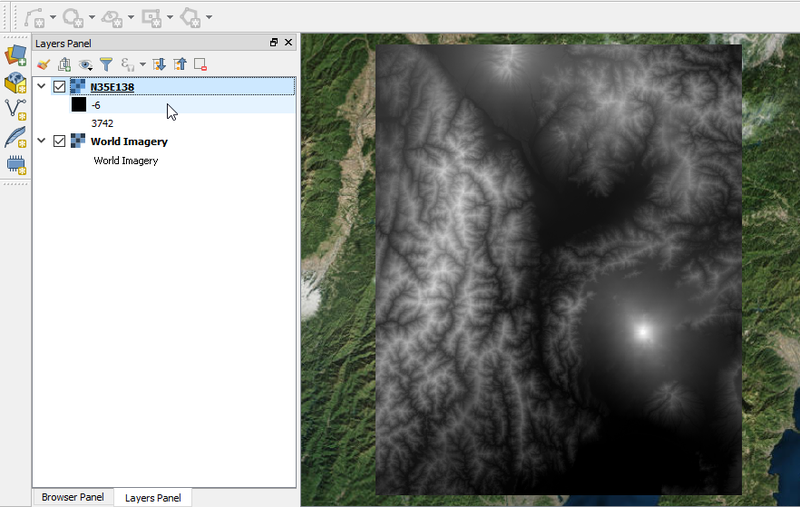 Enable/check Load Images to QGIS. 4. Click Download. Then will appear a window where you have to input your registered username and password, as in figure 6. 5. Click OK button. Wait...and if finish the SRTM data will be added to QGIS map canvas as in figure 7. It's done. Must be noted that the SRTM that dowloaded based on tile with 1 degree x 1 degree size. So it won't clipped exactly as the QGIS map canvas extent. So if your location consist of more than one tiles, all those tiles will be downloaded. How many tiles did you get? That's all the tutorial how to download SRTM elavation data in QGIS. Furthermore you can play with the data with changing its style, visualize in 3D, create elevation profile or do some terrain analysis with it.